Thank you for making a reservation request. We will respond shortly to confirm availability and with a quotation for your stay with us. 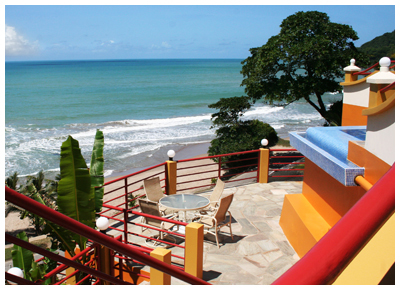 Anise Resort and Spa is an exclusive, eleven room resort nestled in the foothills of idyllic Sans Souci, on the northeast coast of Trinidad. The cuisine is world class, the setting is serene, the staff is warm and incredibly welcoming, and the life is a dream. It is our wish to help plan, prepare and deliver your perfect island vacation. You can make a tentative reservation above, or give us a call directly. We look forward to serving you! 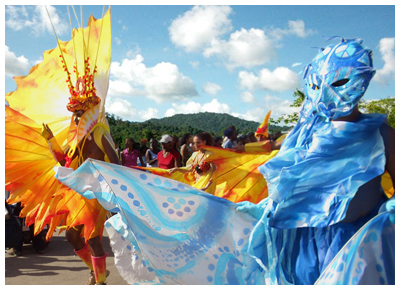 Sans Souci is a picturesque village named after the French phrase meaning “without care”. 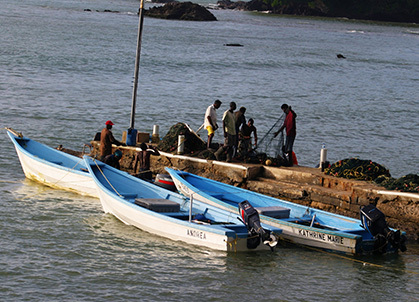 Founded in the late 1800s, this peaceful town is situated in a breathtaking location where the Caribbean Sea greets the Atlantic Ocean. 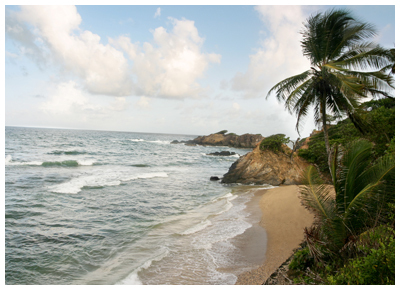 We here at Anise Resort and Spa like to think little has changed in two hundred years, and Sans Souci is still the perfect spot in Trinidad to let your worries slip away. Disconnect from today’s wired society and reconnect with your peace within. 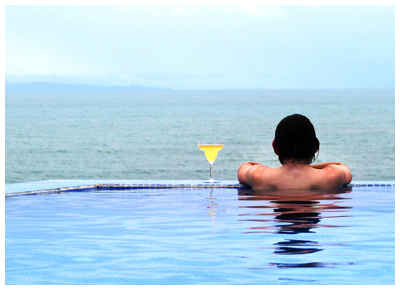 Bask in the splendor of the beautifully designed Infinity Pool and Jacuzzi. A luxurious alfresco seating area with inviting pool and ocean views. When in season, leather-back turtles can be spotted from our amazing deck. 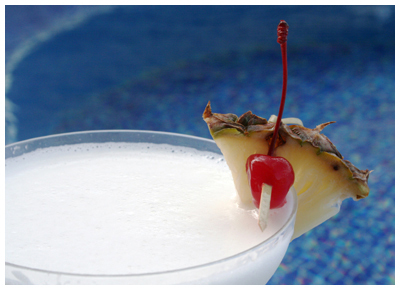 Have a refreshing tropical cocktail while gazing out into the beautiful Caribbean. 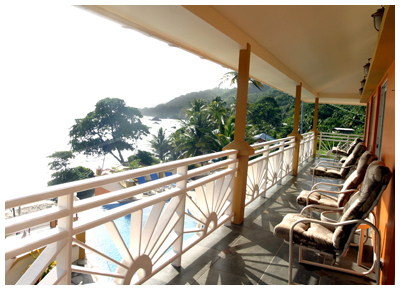 The Coconut Deck brings you eye level to the coconut trees surrounding our resort. 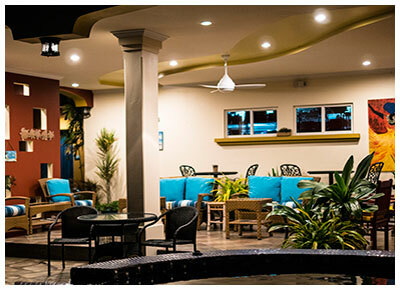 The Sunset Lounge is an exceptional common space for indoor entertainment. 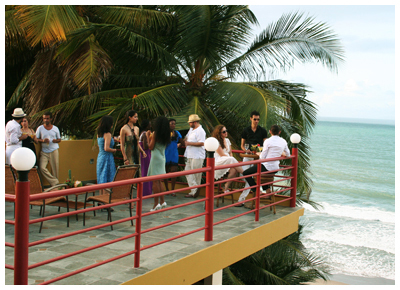 Anise Resort & Spa - Designed by Kainos Creative Studios. All Rights Reserved.